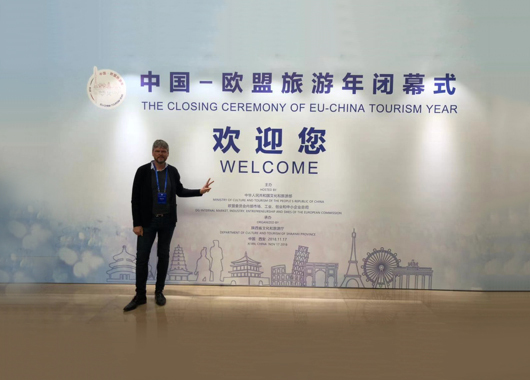 2Advice continues the promotion of the 1st Virtual Travel Fair on Cultural Tourism (VTF) continues at the Closing Ceremony of the EU-China Tourism Year, being held in Xi’an. 2Advice showcased the Virtual Travel Fair at the closing ceremony diner, hosted by the Ministry of Culture and Tourism of the People’s Republic of China at the Crown Plaza Xi’an ballroom. Click here for more information and pictures of the Closing Ceremony.